Again I just added a new collection. 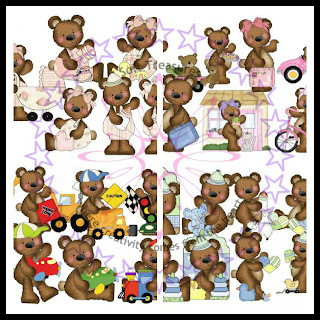 21 sets of Raggedy Bears great for your next crafting projects for babies, little boys and girls and for your Christmas projects. 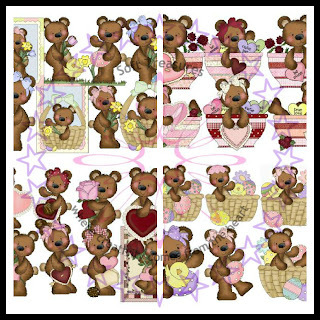 Also included in the collection are Raggedy Bears for Easter, Valentines and other special occasions. 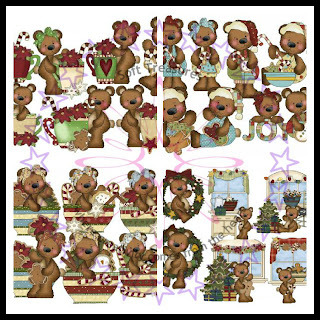 Individual sets sell @$.75 per set. Click here to check them out. 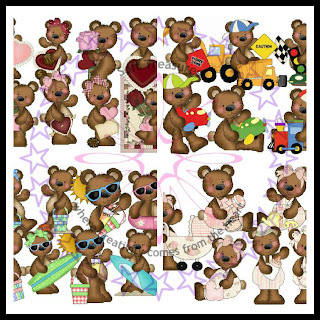 Make a purchase and so with the other collection of Cubby Bears and Raggedy Bunnies, use them as many times as you want in creating that special project you always wanted to make whether scrapbooking, card making, tags and embellishments or any other papercrafting project you can think of.